A year ago we wrote a number of articles devoted to the PSD-to-HTML market (afterwards they were collected in the e-book Introduction to PSD to XHTML Services: Consumer Guide). It's a good time now to analyze changes in this field: what's new, what tendencies have a positive or negative impact on customers. PSD-to-HTML services help designers to save time on transformation their designs into HTML/CSS code: you send or upload image files (Photoshop *.PSD, Illustrator *.AI, *.PNG, etc. ), select conversion and layout options, pay through an online payment system (PayPal), and in a short time get a resulting markup coded. 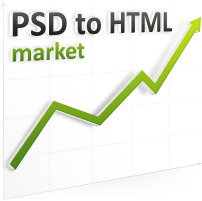 Definitely the PSD-to-HTML market has become more mature during the past year. The number of companies that offer design slicing and other kinds of image-to-markup conversion has increased up to 230+ (as per psdtohtmlcompanies.com, May 2010). Providers are located in the USA (28%), India (15%), UK (6%), Romania (4%), Australia (3%), Canada (2%), Ukraine (1%) and more than 30 other countries. Along with a group of relatively large providers there is a number of small companies, start-ups and freelancers who offer PSD-to-HTML conversion in different price segments and with various options. Companies which specialize in narrow niches such as PSD-to-WordPress, PSD-to-Drupal, PSD-to-Joomla, etc have also grown. On the whole, the past year indicated more intense rivalry in the market. Good news for clients here - stronger competition encourages better quality of the produced code and higher level of customer service. A market-specific production model has crystallized. The main promises given by the market are A) Fast, B) W3C-validated and C) Cost-effective PSD-to-HTML conversion. This means that the provider should have a seasoned client service department which works in a very close marriage with production. HTML/CSS coders involved should be good trained, know the latest web-industry standards and be able to work quickly and flawlessly. Strong project management and reliable testing and QA complete the image of an effective markup coding company. 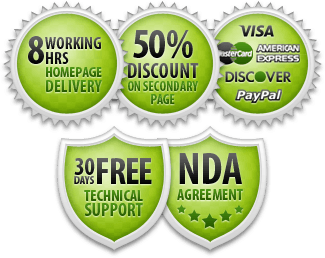 PSD-to-HTML services proved to be a trustworthy assistant for designers. The most flexible cooperation model is when the designer is familiar with at least the basics of HTML/CSS and can make minor "last minute" changes and tuning in a markup (such as "move this 2px left", "make that word written in bold", etc.). Several market-dedicated web resources have emerged. Among them there is above mentioned psdtohtmlcompanies.com, as well as bestpsdtohtml.com which successfully aspire to be a "one-stop-shop for any information related to PSD to HTML conversion and CSS services." Last but not least: in Google the number of search results for requests with core market keywords has increased in several times that also indicates a growing popularity and maturity. The reverse side of a strong supply is the problem of choice. To some extent it can be considered as one of the negative aspects of the modern PSD-to-HTML market because sometimes to select a provider takes much more time than to convert a design into HTML/CSS code. Our recommendations given in the article How to Convert PSD to HTML - The Best Option a year ago can be still helpful. Summarizing the results of the last year, it is worth pointing out the following. 1. The PSD-to-HTML/XHTML/CSS market has become more mature and is now characterized by more balanced supply (different price segments, market sub-specialization), higher grade of competition, higher average level of quality and customer service. 2. PSD-to-HTML conversion providers have reaffirmed their right to be considered as an effective member of division of labor in the web development industry, decreasing costs of web projects without deterioration of markup quality. 3. 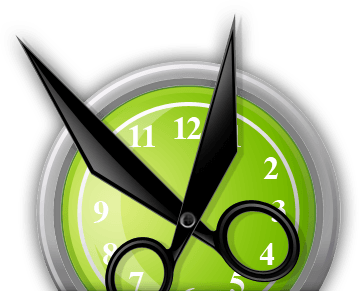 The PSD-to-HTML services shorten image-to-markup conversion time and in this capacity have found their own niche both in case of short-term periods of designer's job overflow and in a regular cooperation with web-design studios and web development companies. 4. The PSD-to-HTML conversion services have demonstrated their ability to be of good assistance both in traditional website development and in coding templates for open source content management systems (CMS) and blog platforms such as WordPress, Drupal, Joomla, etc. 5. The PSD-to-HTML companies have supported proliferation of the latest Web standards and website cross-browserability - and consequently helped to make the Internet more unified, accessible, and easy to search. At the same time the PSD-to-HTML/CSS conversion market is still on a relatively active phase of its development and new exciting changes may be expected in the nearest future. HTMLcut.com is a PSD to HTML/CSS and PSD-to-WordPress/Joomla company that has helped a lot of designers and web companies to save time and money on conversion their designs into perfect HTML/CSS markups. If you would like to republish this article, you are welcome but please don't forget to add the "About the Author" section with links retained in it. Doing so, you will confirm your status as a fair blogger and design or SEO community member.